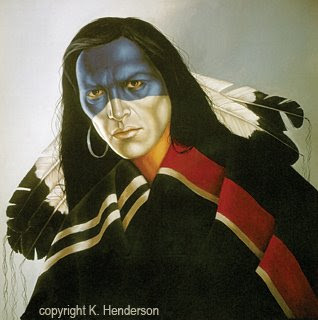 Song of the Sky is an oil painting of a Plains Indian . It is oil on Canvas, 36" x 30". 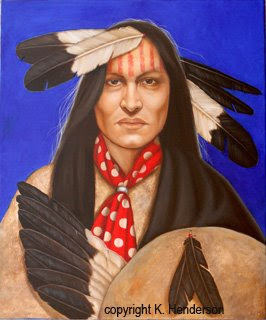 The bright blue background contrasts the American Indian warrior who has feathers in his hair, a feather fan and a shield. He is also wearing a red polka dot scarf and has red stripes painted on his face.